This season, you want to wear unpretentious comfortable dress but you want to keep the glamorous look at party. Yes this PARTY WEAR is the best option for a comfortable yet stylish look. 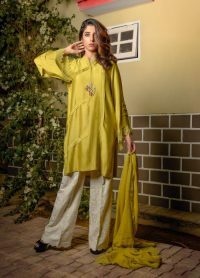 Dhani green khaddi net shirt enriched with the dazzling design of hand embroidery and computer embroidery paired with indian rawsilk embroidered cream color bell bottom is what it makes the perfect choice for you to buy this dress. 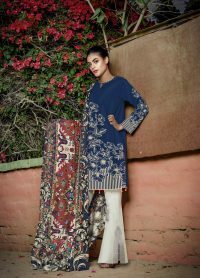 The dress is stitched with amazing stitched pattern which gives you a remarkable look at the party. 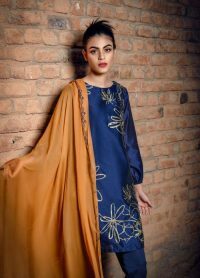 Soft chiffon georgette dopatta enhance the entire look of this attire. 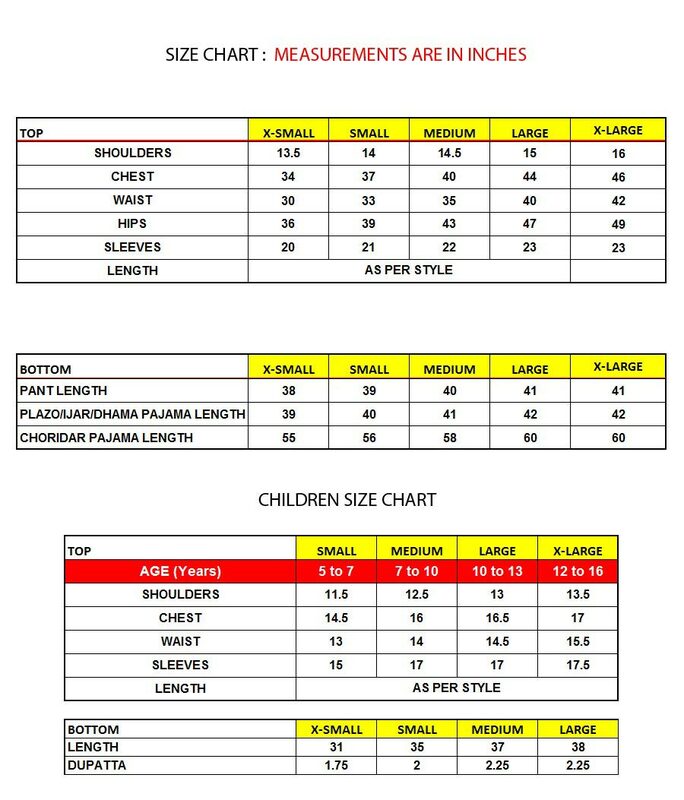 You can modify the sleeve length as per your choice, whether half, quarter of no sleeves. GO AHEAD AND GRAB IT NOW!